Pear sauce made with Bartlett pears…but pictured with Bosc pears. Because I ate all the Bartletts. As I type this, I’m eating breakfast in bed. My breakfast? Freshly made pear sauce — fragrant and smooth and delicately-flavoured and just scrumptious! I’m spooning it up straight out of the jar, because I plan on eating the entire thing! Fresh pear sauce is so yummy. It’s just like applesauce, but…pear. And have I mentioned how easy it is to make? So. Incredibly. Easy. Pears were on sale this week and last week, so I had the DH buy lots so that I could make lots. I like to stir it into my homemade yoghurt sometimes, to sweeten it slightly, and add some fruit and fibre. Want to make some yourself? Let’s! Be prepared though, it’s jaw-droppingly easy. Peel pears, and quarter them. Remove pits and stems. Place in a pan over medium heat. The pears will release enough liquid that they shouldn’t stick to the pan, but be sure to stir it occasionally. Once the pears are mushy and appear to be cooked through, you can either mash them with a potato masher, use a stick blender to blend them in the pot, or blend them in a kitchen blender. And…done! I know it seems too easy to be true — I was surprised myself. Even the DH didn’t believe the sauce only contained pears; he thought for sure that I had added in sugar. Nope! It’s Purely Pear Sauce! I like to use ripe Bartlett pears for this sauce, and personally, I leave the skins on so that I get some extra fibre (and then just make sure to blend it extra well at the end). You can use Bosc pears as well (or any pear, really) but it will be a slightly different texture (a tad more grainy) and taste. That said, eh, use what you want! Life is too short to always follow the recipe. Tee hee! Next Post: I made a great pea soup flavoured with ham bits for the DH. Should I post that? I think so! Or maybe something sweet. Mmm…I sure do love my baked goods! 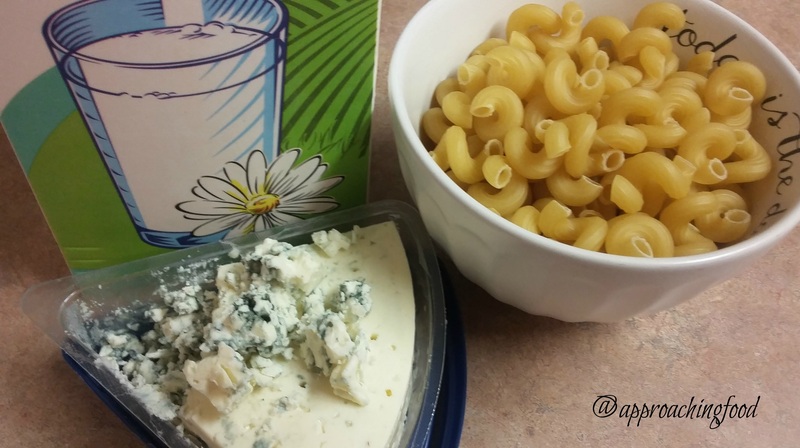 Linking Up at Meal Plan Monday, and Happiness is Homemade! This entry was posted in Breakfast Foods, Preserves on March 26, 2017 by Margaret. 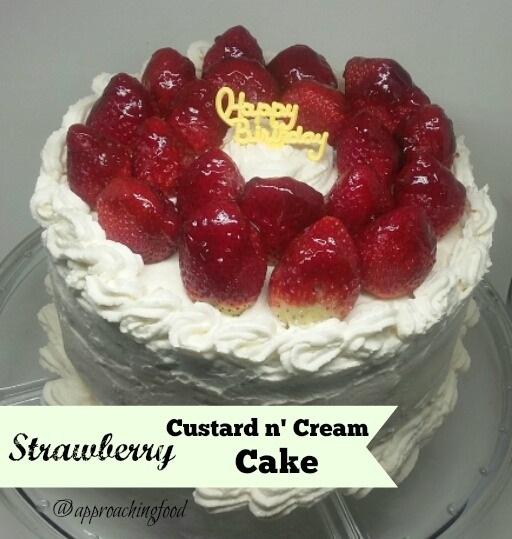 Triple-Strawberry Custard & Cream Cake: Birthday Cake Heaven! A special birthday requires a special cake, n’est pas? The DH’s birthday is this week, and I made him a special cake, because he’s hitting a milestone birthday. I shadn’t say how old (or young!) he is now, as I shall hit the same birthday in a few months myself, and I’d like to preserve a little mystery in our blogging relationship, dear reader! But as I said, a special birthday requires a special cake! And the DH does love strawberry cake. (Unless it’s pink, as I learned several years ago.) So, one super-yummy fancy-pants strawberry cake coming up! 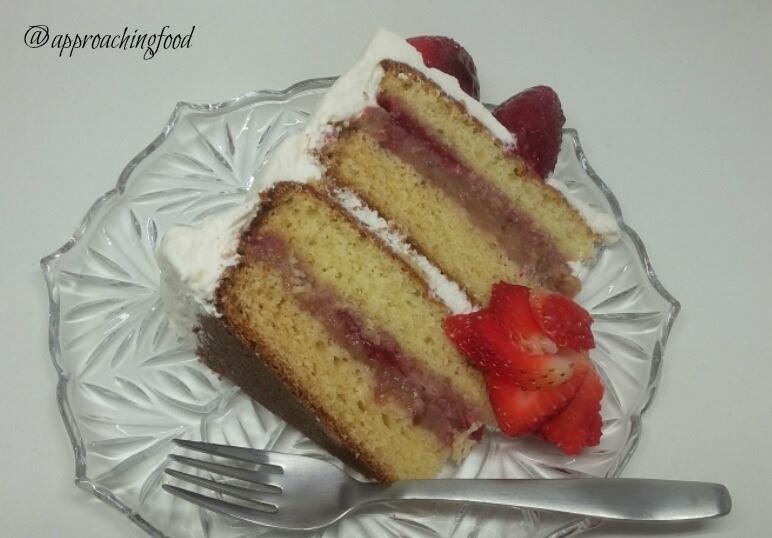 I used strawberries three ways in this cake: dried and turned into a powder to make the vanilla custard filling extra flavourful; in jam, to keep the cake layers moist; and on top, for decoration and taste! The Layers: vanilla cake, all golden and moist, and oh so yummy! The Filling: Homemade strawberry vanilla custard. Eggless, it’s thick enough to spread, flavoured (and naturally coloured!) with my home-dehydrated strawberries (I dehydrated sliced strawberries, then froze the dried slices and blended them into a powder). Cake-Maker-To-The-Stars-Hack: simple syrup mixed with strawberry jam, spread on the cake layers, make the cake extra moist, and prevents it from getting all dry! The Strawberry Flourish: strawberries, topped with apple jelly (as opposed to gelatin, because I be veg, yo’). This cake is a little more finicky than most recipes I post on this blog, but a) it’s worth it and b) once you understand the parts of the cake, it’s really not that difficult. Basically, you make two cakes, split each of those in half and spread jam and then custard on those halves, and put them back together into two cakes. Then you stack those two cakes, using whipped cream icing, spread icing on the top and sides, and pipe some decoration. Voila, an all-natural fancy-pants cake! Make custard. When making custard, stir in powdered strawberries, so that they rehydrate as the custard cooks. Let cool. Mix strawberry jam with warm simple syrup. Let cool. Using a chilled bowl and beater, whip cold whipping cream with icing sugar, meringue powder, and vanilla extract, until stiff peaks form. Keep chilled. Slice cooled cakes into half horizontally. Spread each half with the jam-syrup mixture. Spread half the custard on each of two of the 4 cake layers. Reassemble into two cakes. (You’ve essentially just made two custard sandwiches using the cake layers, using the jam as you would butter bread!) Place one cake (i.e. custard sandwich) on a plate. Spread whipping cream on top. Stack second cake on top. Spread whipping cream on top and sides. Once covered, put remaining whipping cream into a piping bag and pipe a border on the top and bottom of the cake. 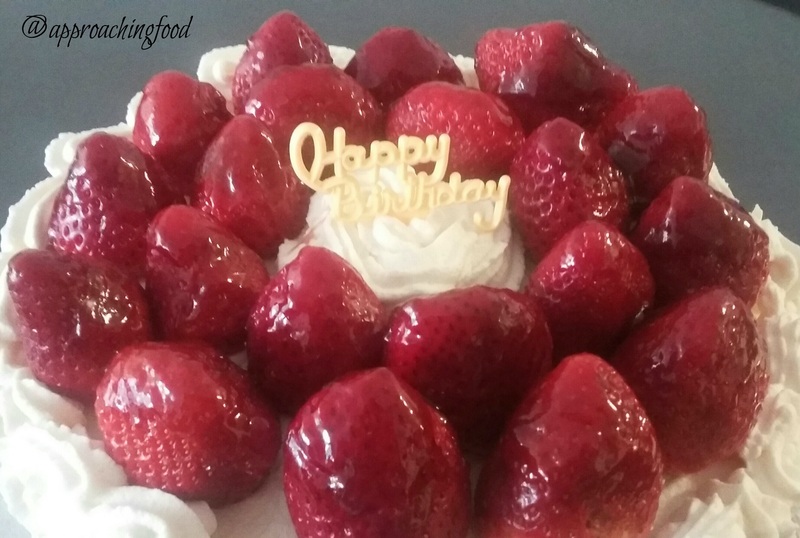 Place strawberries, pointing tips up, on the top of the cake. Heat apple jelly until melted but not hot, and brush onto strawberries as a glaze. Chill cake in fridge until serving. Voila! You’ve just make a Triple-Strawberry Custard & Cream Cake! A slice of cake heaven! This cake will disappear before you know it. I had my family over to celebrate the DH’s birthday, and we ate half the cake. Twenty-four hours later, the other half of the cake had vanished. (I may or may not have had a hand in the vanishing.) Long story short, make the cake, eat the cake, and…eat some more cake. You and your tummy will thank me! Next Post: Something healthy maybe, to balance out this cake. 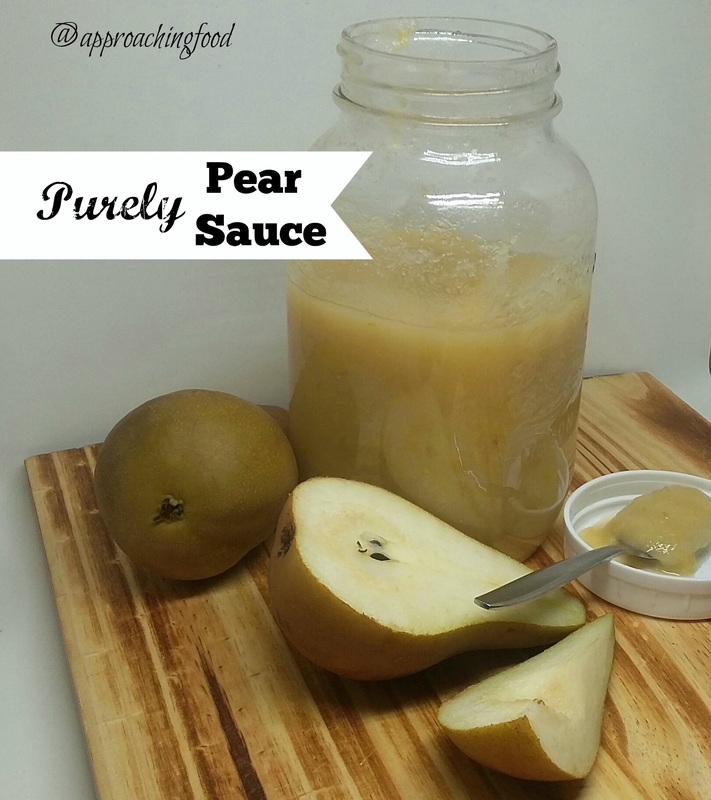 What about a recipe for Purely Pear Sauce? This entry was posted in Cakes on March 16, 2017 by Margaret. Pasta + cheese = want! 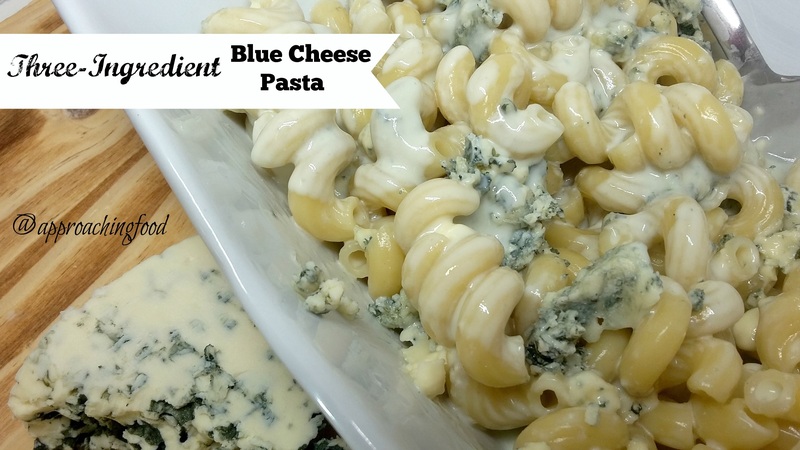 As the name implies, blue cheese is the star of this pasta dish. One pot, three ingredients, super-easy and super-quick to make…what’s not to love? Unless you don’t love blue cheese. Then, move along lil’ doggie (to another recipe! Such as this one). Otherwise, make this dish and you’ll be in blue cheese heaven! I first had this dish when I went snow-shoeing with some friends this winter. A bunch of us had rented a cabin and we ate communal-style, with lots of laughter and joking, and with some very good food! One of our friends made this blue cheese pasta, and told us that she developed the recipe when backpacking across South America recently. I’ve modified the amounts of the ingredients to make it more to my taste, as I like a saucier dish as opposed to a stickier one, but the outcome is the same — blue cheese yumminess! Basically, you toss the pasta with a two-ingredient sauce, stir in some more cheese, and then sprinkle a tad more on top. And voila, done! It’s very quick to make; cooking the pasta is what takes the longest. Cook pasta, and set aside. In the same pot, whisk the milk and 1/2 c. blue cheese together, until a thin sauce forms. Stir in pasta, and 1 tbsp. blue cheese. Plate and sprinkle remaining tbsp. of blue cheese on top. Et voila, tu es fini! By the way, don’t freak out when you’re making the sauce and it starts to look a little…blue. That’s ok! It IS blue cheese, after all, and but it does look more appetizing when you’ve stirred in the crumbled cheese and sprinkled a tad more on top. I will say, if you don’t like blue cheese, you won’t like this dish, as it’s the central theme, obviously. And it’s best to serve the dish with a nice side salad in order to balance out the strong flavour of the cheese. 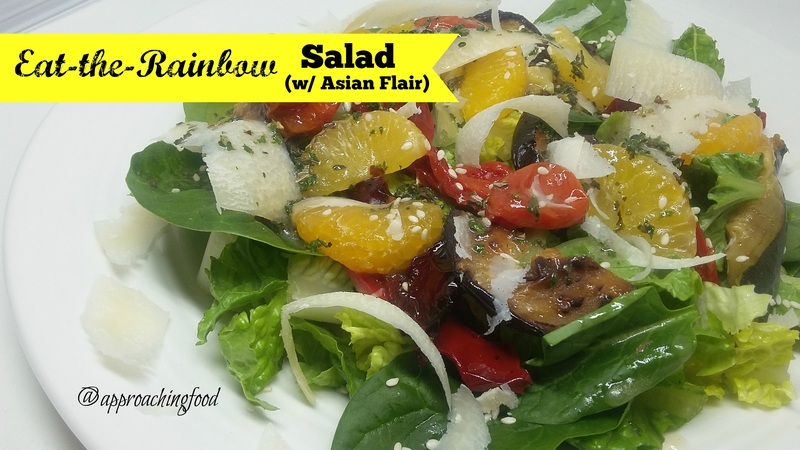 I served this dish alongside my broccoli slaw, and the DH loved it! Next Post: I have the BEST cake recipe that I developed to celebrate the DH’s recent milestone birthday, and I’m going to be sharing it with you all! What kind of cake is it? Delicious, obviously, but stay tuned and find out the flavour shortly! 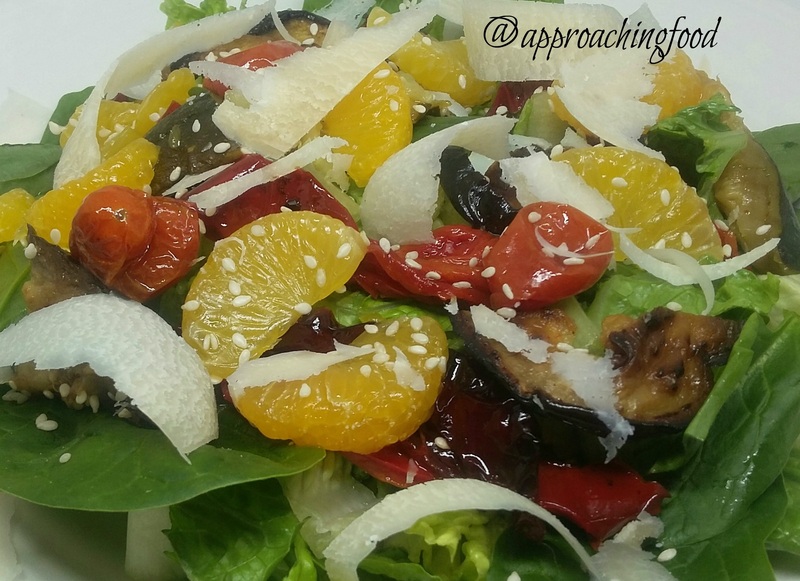 Linking up at Meal Plan Monday and at Happiness is Homemade! This entry was posted in Vegetarian Main Dishes, Vegetarian Side Dishes on March 12, 2017 by Margaret.